You may order now from my bookstore at amazon.com. If you are in the area you can also place an order directly from me. Just send me an e-mail at shaw.jeanie@gmail.com letting me know you how many you would like to order. 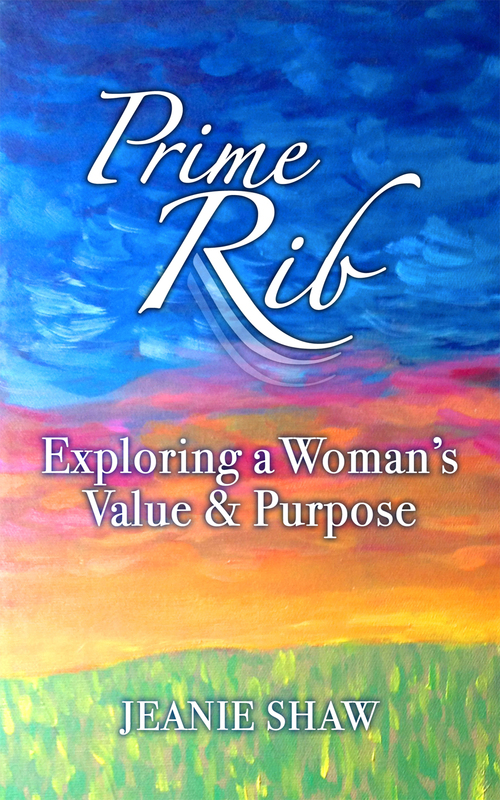 In Prime Rib, Jeanie Shaw shares her “Top Ten” list of truths essential to understanding your value and purpose as a woman. As God lovingly fashioned woman from a rib—not just an extra rib he’d found lying around, but a rib taken from Adam’s own body, a rib of foremost importance and special purpose—he knew he had formed a “prime rib” that would complete creation, and take it from “good,” to “very good.” But if women have been so lovingly designed by God, why do so many miss the peace, the power, and the sense of fulfillment and purpose God created them to have? Does God love me and have a purpose for my life? Can I overcome fear and live victoriously? Can God help me forgive and not hold on to resentment? Is it possible for me to take my thoughts and words captive? How can I see the beauty that God sees in me? How can I have the close relationships I long for? Be prepared to fall in love with the God who is in love with you, and to live the life he created you to live. You can order this book directly from me at shaw.jeanie@gmail.com, or from amazon.com. “Prime Rib” has recently been translated into Spanish. “Exquisita Costilla” is also available on amazon.com. 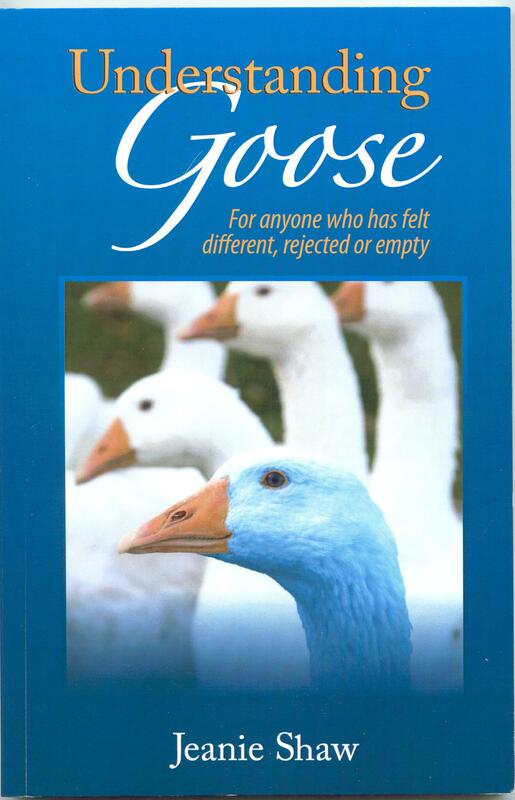 I wrote this book (my first book) at the beginning of a journey that changed my life…for the better. The journey has been much more difficult than I could have imagined…sort of like a path I traveled this morning. The path was rocky. Poison ivy, along the sides of the path, seemed to be “eager for attack”. Walking the path produced some sweat or “glow” (if you want a more dainty word). However, beyond the hill and at the end of the path I witnessed a most spectacular panoramic view of our gorgeous rocky New England coast. Isn’t it often the case… that in order to catch the most breathtaking views you must first take a journey? 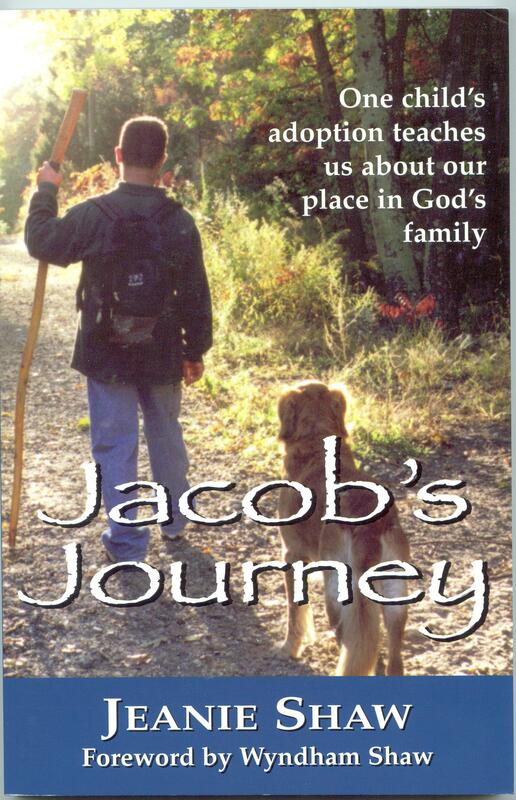 From the back cover: Come with Jeanie Shaw on an incredible journey of faith and love…Jacob’s Journey. Jeanie shares the story of her family’s adoption of a Romanian orphan and the insights she gained about God’s adoption of his children. Heart-moving and heart-challenging, this book will bring tears and smiles, heartaches and belly laughs…all wrapped up together. Jacob will journey right into your heart and give you a deeper understanding of adoption and a more personal relationship with your heavenly Father. You may order directly from me. Contact me at shaw.jeanie@gmail.com. Do you wish your life had greater impact? Are you looking for ways to be more effective in helping other women know God? Do you wish you had more confidence to mentor others? Spiritual Leadership for Women looks to the lives of Biblical women (some who never intended to be leaders) to draw out applications for today’s woman. Gain inspiration from the stories of contemporary Christian women who are making a difference across the globe. Savor “pearls of wisdom” from elders’ wives across the world. Draw on the collective wisdom from different eras and cultures to develop godly leadership skills you can pass on from generation to generation. Whatever your role–whether sharing the Bible with a friend, leading a small group, raising children, leading in business, or working in the full-time ministry–this book will equip you to fulfill your God-given role. Join women from across time and across the globe, as you embrace the principles of Spiritual Leadership for Women. As my friends and I are aging, I longed to gather a collection of wisdom on all kinds of aging issues from wise, spiritual men and women. Thus, this anthology was born. Authors share with raw honesty, wisdom,, and humor.as they share, instruct, and inform on topics such as health, finances, relationships, joy, intimacy, attitudes toward aging, continual learning, retirement,, and much more. This book has been received with much enthusiasm and can be purchased from http://www.ipibooks.com or amazon.com.